As I reflect back on 2017, this was a year filled with firsts. My first child turned 18. I started using my professional camera for the first time. I also finally learned how to use my Silhouette Cameo. We had our first retail pop up show and opened up our first online shop. And this is the first time my blog was ever recognized in a huge magazine. And after five years of hard work, this is the first year our house evolved into what we always envisioned. 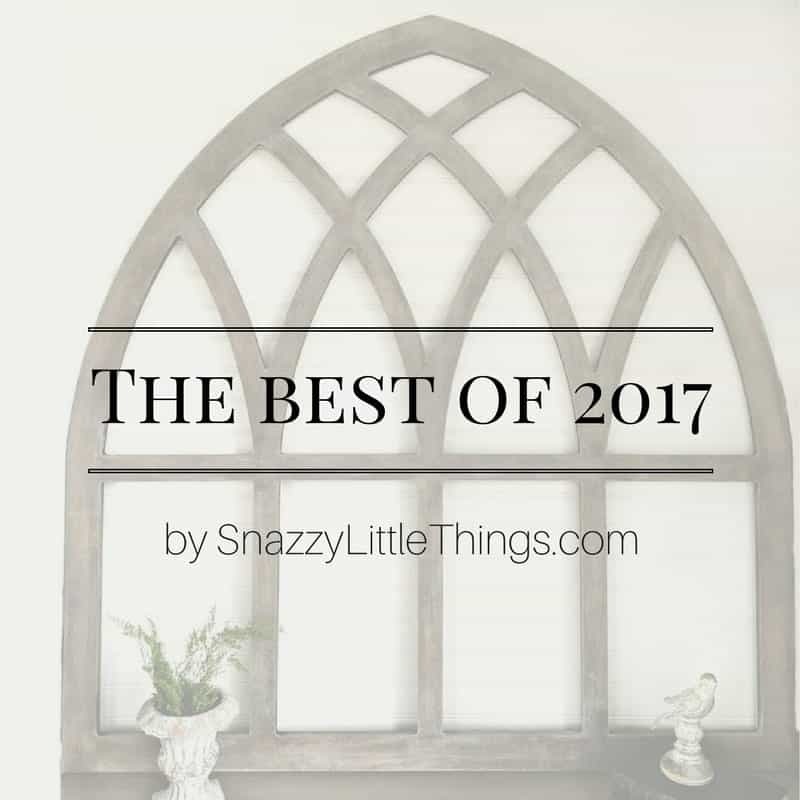 So today, here is a round up of my best DIY decor posts of 2017, based on reader popularity and traffic. 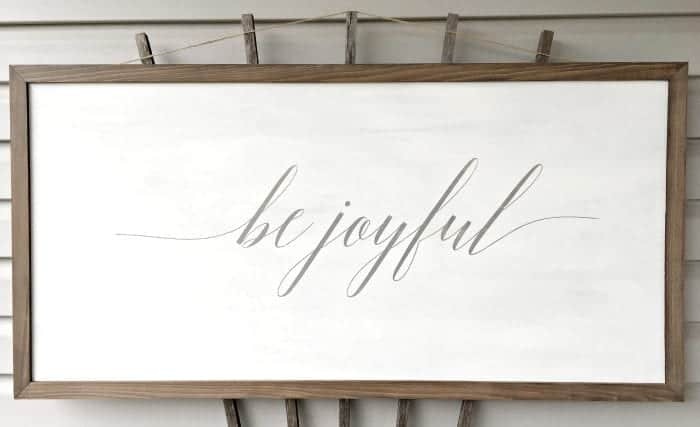 The launch of our handmade retail store was so nerve-wracking and exciting, and we were shocked at the positive response! We decided to open the store to include handmade items we’ve made for our own home + include some vintage-inspired decor. Our free printables library is very popular with readers. Once you become a subscriber, you will receive an email (with a password) to give you instant access. 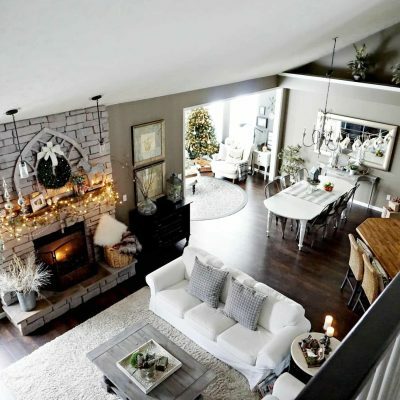 Our home tour includes before & after photos with source lists for each room. We hosted Better Homes & Gardens at our home, and they featured the dog crate table in the print magazine January 2017 edition. 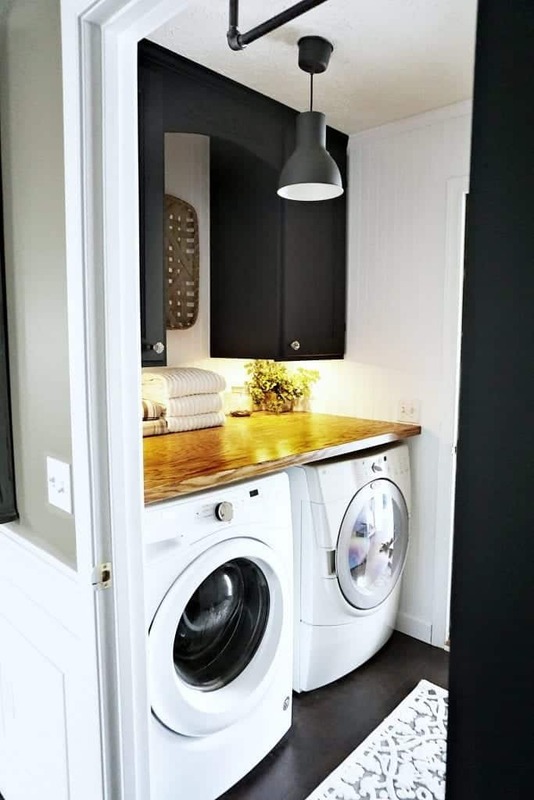 When our washing machine died, we took the opportunity to remodel the laundry room space once and for all. 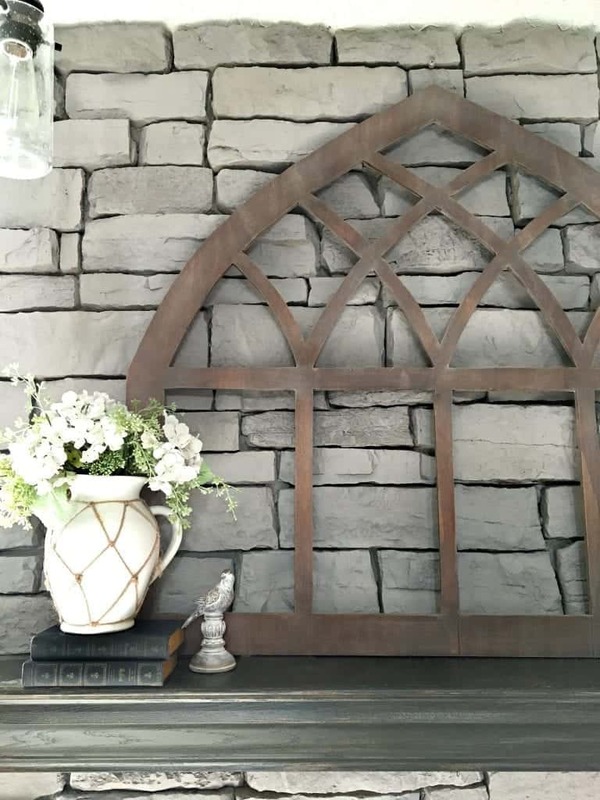 We wanted a gothic style window frame for the mantel (with the point!) so we made our own. 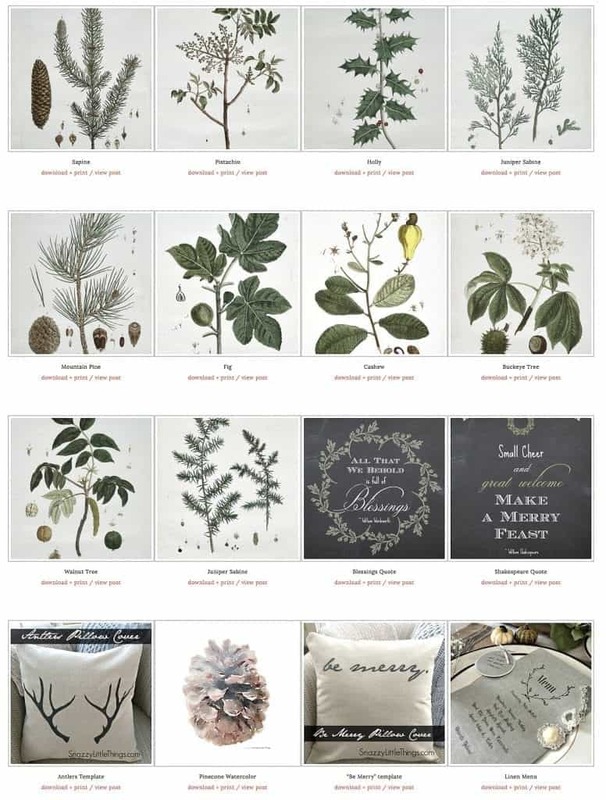 They are also available as a printable, traceable plans in our shop. This was our largest DIY yet. We ripped out our 12 year old carpet and installed Pergo Outlast+ in the color, Molasses Maple. 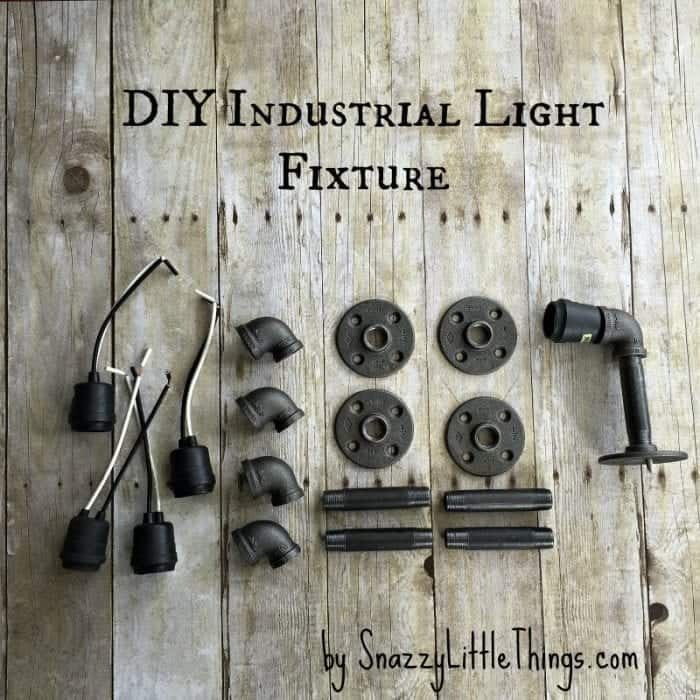 We made our own industrial light fixture for our master bathroom. And it also inspired a similar DIY (an industrial valet / drying rack) in our laundry room. 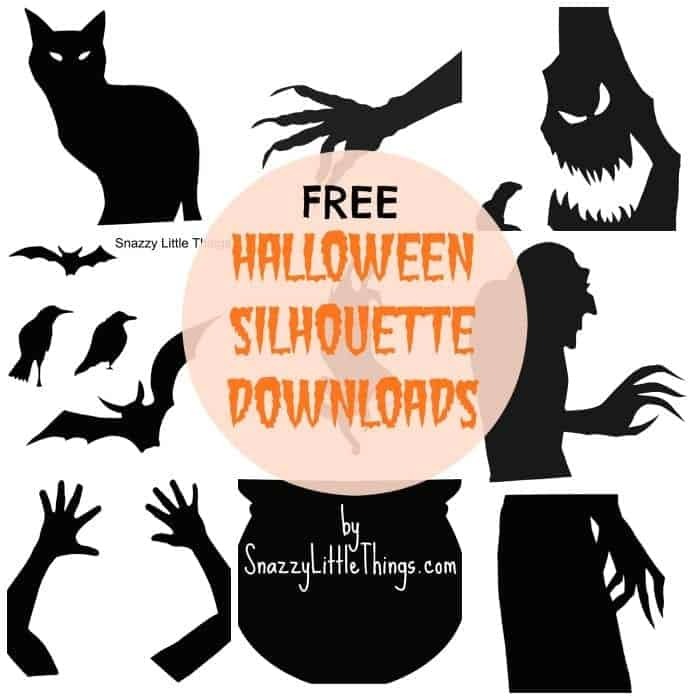 This post really exploded this year, so if you found our blog during Halloween and downloaded our DIY Halloween window silhouettes, I hope you’ll share photos! Still hanging on at #1! I updated our DIY Wainscoting Tutorial to include an image hover feature explaining exactly what trim to place where. Hopefully it’s much easier to navigate and understand. One day we’ll do a live video about it! I’m really looking forward to 2018 for even more DIY, decorating and craft tutorials. Be sure to follow along on all of our social media channels where I’m hosting more live video offering a behind the scenes on many of our projects. I wish you all the best in the coming year, and have a safe & Happy New Year! 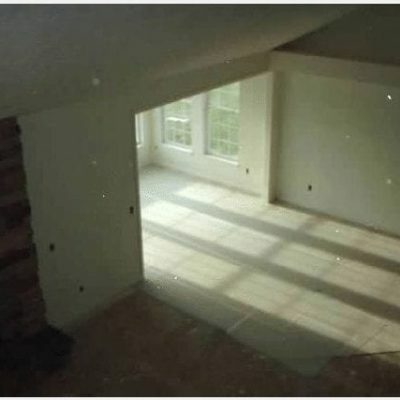 I really like your panelled wainscot and am impressed with the correct baseboard trimmed with cove molding. Many don’t know the difference between cove and quarter round. Thanks Joanna, we love cove versus quarter round at the base. 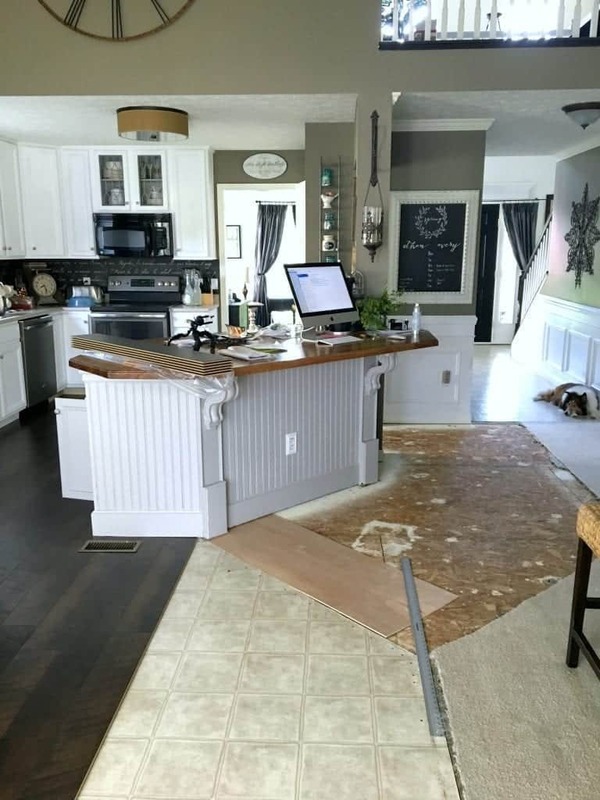 Since we installed our new floor we have yet to replace it. I appreciate the comment, and happy new year! Hi, I really like what I’m seeing/reading here! I’d like to see your blog about decorating a hobby or studio work space.